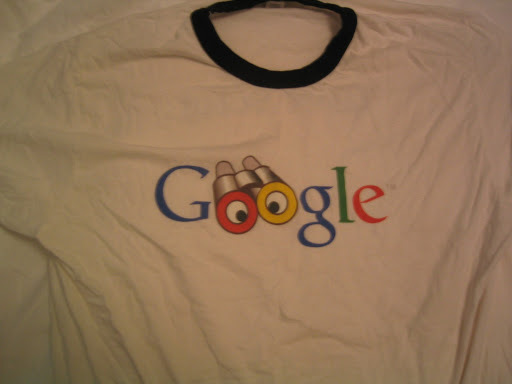 This particular one says “talent scout” on the back, simultaneously thanking me for referring many job applicants to google and also making the shirt embarrassingly unwearable. We famously get hundreds of thousands of resumes a month but still we’re hungry for new recruits. As a product manager helping to grow the team is a high priority – # interviews and # referrals are factored into our performance scores. There’s also a small monetary incentive if your referral gets hired but given the rejection rate i think this bonus is likely 1/10th of what it actually should be. I’ve gotten two people hired with well over 50 referrals. So if you want to work here just check out our Jobs page and let me know.